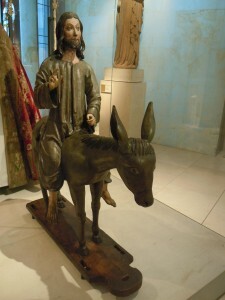 Today I would like to offer a brief but interesting reflection on Palm Sunday, courtesy of my dear friend Mark Tarrant. He shared with me this very unique poem by G.K. Chesterton, which brings a new perspective to Palm Sunday. To me, this poem outlines how flawed the donkey’s perspective is and underscores the grace that can be given by walking with Christ. The donkey underscores his own perspective of his station as an undesirable, unpleasant creature but in the end has his own last laugh. A few weeks ago, my wife participated in the Stations of the Cross from Mary’s perspective. While it was a wholly different presentation and situation, I find the shifted or different perspective can offer a greater opportunity for thought, prayer, and reflection. Our priest encouraged everyone to take time this week to reflect on why Christ made this ultimate sacrifice for us. We have the opportunity daily to reflect on the Way of the Cross this week and incorporate this opportunity for salvation into our lives. We live in a sound-byte world, a quick culture that often doesn’t stop and think. American culture is particularly bad about this, and often fails to dive any deeper than the news headlines or the context that they gained from the last person they spoke to. This has been seen with practically anything Pope Francis says, or anything that doesn’t fit within the media’s agenda of normalizing sin. Over the holidays, as I watched the media fury surround Phil Robertson for expressing his views on homosexuality I began to think about how our culture lacks the virtues of prudence and docility. The word docility has roots in the Latin word docere which means “to teach”. It’s where we get the word doctor (teacher) and doctrine (teachings). Docility is the virtue of obedience and openness in those who are taught. Saint Thomas Aquinas related this closely with the cardinal virtue of prudence: applying earned wisdom to real life situations. Academically, the formula is essentially to be open to gaining new, sound, truthful knowledge and then applying it correctly in the real world. But our society generally scuttles that whole discussion. Instead of asking if something is right or wrong, we are told subjectively “what is right for you is fine.” Instead of understanding the teachings of Christ in a full, real, and coherent way we are reduced to memes and cherry-picked gospel quotes to justify a myriad of sinful behavior. Someone suggested to me once that we all cherry-pick what parts of religion to follow. This may be true to a point… some teachings are easier for us to hear and respond to than others. This should not be where we stop! We should be striving to always grow in our faith and be docile and teachable wherever Truth (note the capital) is found. It’s not subjective… what is true is true. Similarly, if we then use that earned knowledge to act prudently we can become a living example for others instead of just an academic argument found in a comment-box. For me, the key has been disposing of preconception and emotion and intellectually processing both sides of the argument. This is extremely difficult to do when approaching “hot button” topics where emotions run wild… but some mileage can be had from simply explaining your viewpoint, your argument from truth, and listening to the objections. From there, you can respond to those objections as long as the opposing party will respectfully engage. The Thomastic philosophy is particularly good at this and can be used with a little practice. The best we can hope for is to first learn truth for ourselves, apply it correctly to our lives, and then transmit it to others. And to paraphrase a quote often attributed to St. Francis… if necessary, use words. This is the time of year when many people set forth resolutions. Sometimes these mission statements are over before they start, and it seems like a few make any lasting changes. I have had a checkered past with making successful resolutions, and I want 2014 to be a year to remember. My thoughts kept coming back to the address given by Bishop James Conley at the Catholic Answers Apologetics Conference. He spoke about the role of beauty in restoring the Catholic Church. He then suggested that beauty can evangelize in many ways: via the liturgy, an appreciation of ancient Christian culture, and an openness to beauty of all forms. I thought about the beautiful things that go under-appreciated in my own home. I thought about how the din of our modern world steals experiential beauty from us. Art and music, travel, family time, adoration… of these things that I express a desire to do but lack in time and attention. I thought about some of my own simple pleasures. My woodworking hobby and the childlike fascination I feel when I look at a figured piece of curly maple wood. The joy of dancing around the kitchen with my daughter to a song on the radio. The meaningful connection felt when having a real conversation with my beautiful wife. I wished there could be less noise and more of these experiences. I resolve to make 2014 the Year of Beauty. I will appreciate simple experiential beauty in any way possible: art, music, sculpture, travel, silence, prayer, meaningful conversation, and family. 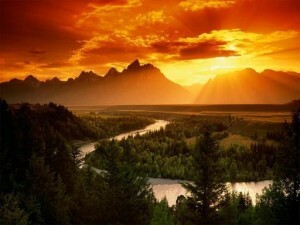 The goal is to elevate my soul to God, the source of all beauty. 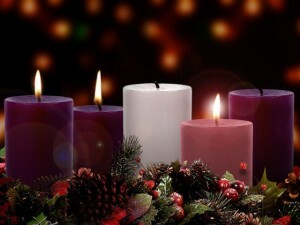 I want to spend more time in January getting reconnected with music, and I would also like to experience a Latin Mass for the first time. Have you ever been touched by a beautiful experience in your life in the way that Pope Emeritus Benedict describes above? If so, share with the class. For those interested: The National Catholic Register covered Bishop Conley’s address here and it is now available from Catholic Answers in both digital edition and in a CD collection. Check it out for some great inspiration! Won’t you join me in ushering in a beautiful 2014? The Year of Faith is over, but I’m just getting started! 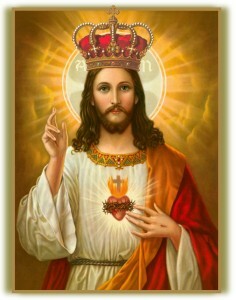 Today was the Feast of Christ the King, which marks the end of the Year of Faith. When I started this site over a year ago, I was aiming for at least one post a week during this special year so I could participate in a small way in Pope Emeritus Benedict’s call for a New Evangelization. This seems like a great day to take stock. First, some stats: I ended up writing 66 posts and 4 pages which totaled up to 41,850 words. I know of a few short spans where posts lapsed for longer than my desired weekly basis, but it appears that I have made it up in numbers. Beyond the sheer mechanics, we covered a lot of ground this year. I received some positive feedback on my Five Facts series, but I enjoy writing the reflections much more. I also truly enjoyed the (partial) refutation of the pamphlet that was left on my car last summer, made even sweeter by the new knowledge that this was how one of my apologetics heroes Karl Keating got started. I enjoyed participating (and covering) the first annual Catholic Answers Apologetics Conference. I have received feedback from some that have said that they discovered something new or learned a new aspect of Catholicism, and I would count the entire effort as ‘worth it’ for that fact alone. Beyond this, the thing I enjoy the most is the personal connections that I have made throughout the year. I have met some great people, Catholics and non-Catholics, that each offer a new and valuable perspective and I hope these friendships continue. I have a long list of topics that I haven’t gotten the opportunity to discuss in detail yet. I also want to finish the refutation of that pamphlet. I have learned that apologetics articles (especially ones with sources cited) take awhile to write, and I’m not natural at it. Yet. So I’ll keep soldiering ahead. Ultimately, I want to write about things that you all find interesting. The only way I can know those topics is if you tell me. Finally, I’d like to take a moment to thank everyone that has contributed, shared your thoughts, asked questions, linked the site, or otherwise lent their support over the last year. Your support has been a great encouragement. I pray that the Holy Spirit continue to grant me enough grace to continue, and that this effort brings even more people to Christ. Last year on this day, my wife and I went through one of the hardest days of our married life: we lost a baby due to ectopic pregnancy. I don’t have much recollection of the nearly two weeks leading up to her emergency surgery, most of it presents as a hazy blur of stress, emotions, doctor visits, and worry. We had exhausted every option and waited longer than the doctors would have preferred in hopes of a miracle or a natural miscarriage, but in the end we had to exercise the Principle of Double Effect and my wife had surgery to remove her damaged Fallopian tube which resulted in the loss of our child. A year later, I feel like I have some further perspective and I’d like to share a few thoughts today. The hardest thing in the world is to watch your spouse’s heart break and there is nothing you can do about it. This is made even harder when your own heart is breaking at the same time. Going through this pain together has brought us closer as a couple. We both talk about the emotional pain that we feel even though the physical wounds of the surgery have long healed. Before this all happened, I would read reflections or passages from Scripture regarding mourning and suffering in a somewhat academic way. I had lost relatives that were close to me, however I had never gone through something that razed my emotions so deeply. 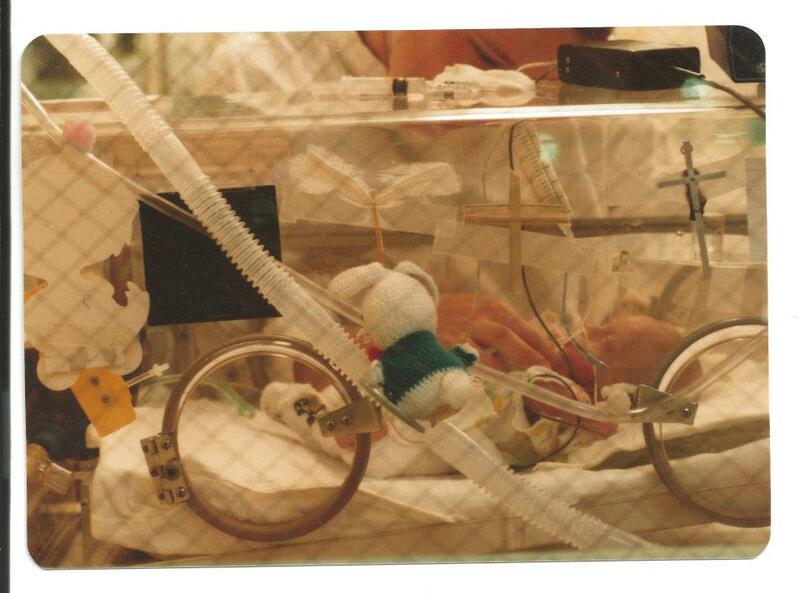 The absolute worst part was the pain of losing the baby, and the realization that I came very close to losing my wife too. Then to experience firsthand the pain that she went through was a wholly different experience. A year later, I understand better what it means to cooperate with the grace that comes from suffering. I know that people have it far worse. Some people have experience this sort of emotional pain through numerous miscarriages, stillbirth, or the loss of a young child and I am far more sympathetic to that type of pain now. I also understand that I only have a partial perspective on this, because the emotional suffering that my wife went through (and to a degree, still does) was much worse. In hard times like this, we were often counseled to trust in God… to heed Christ’s mandate to take up our cross and follow him. I was helped greatly by one of our parish priests, who heard my Confession shortly after the surgery where I admitted being angry at God that my family had to go through this. He told me that I took the hard but correct road and that I was a great friend of Jesus, and to know that He is there with me to make good come out of this. After some reflection and discussion, my wife and I realized that God had willed this and we could assist in seeing that some good came from this experience. We were already advocates of the pro-life movement, and this redoubled my resolve to participate in pro-life activities. I worked on a spaghetti dinner project to raise over $1000 for the Knights of Columbus ultrasound initiative, which purchases ultrasound machines for crisis pregnancy centers to enable women to choose life. It was, after all, an ultrasound machine that detected this situation and potentially saved my wife. We continue to pray for the unborn, including our baby Jude. We continue to have faith that Christ will work through us to bring good out of this loss. Shortly after the counsel that I received from my priest, I had a discussion with an 87-year-old friend of mine from the parish. He had lost a two children of his own, and we talked about the hopes and prayers that our children were with Christ now and enjoying their eternal reward. The reality hit me in that special way that gave me goosebumps all over: my baby Jude could be in Heaven interceding for us here on Earth. I take great comfort in the idea that my child is with the Lord now praying for us and watching his big sister build blocks with Daddy. I explained this notion to my elderly friend, and found it comforting as well. While we don’t claim to know God’s Will for anyone, we can trust in his great mercy and the hope that our departed loved ones are with the Lord, praying and interceding for those of us they left behind. Many people have told me to just get over it, or that I’m making too big of a deal out of this situation. I usually counter with the argument that if this child had been born, nobody would dare to make such an argument. I take great comfort in praying for him by name and remembering that little life. I am also deeply thankful for the support of our family, friends, and parish who stood by us during this difficult time and continue to strengthen us today. I ask that all who read this stop and say a prayer for my baby, Jude Michael, and for our family’s continued healing. 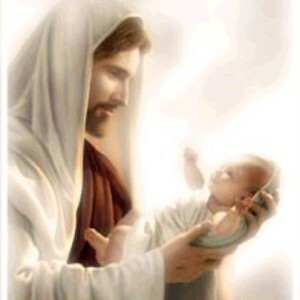 Pray for all that have been stricken by the pain of miscarriage and stillbirth that they might be strengthened by Christ, and pray for an end to abortion and for the souls of all of the unborn. If you have a few extra minutes, you can also read the rest of Jude’s Story including the prayer that I wrote for his baptism. We miss you and love you, Jude. Pray for us! This is part of a continuing series where I investigate the claims made by a pamphlet that was left for me asserting that Catholicism is not Christian. 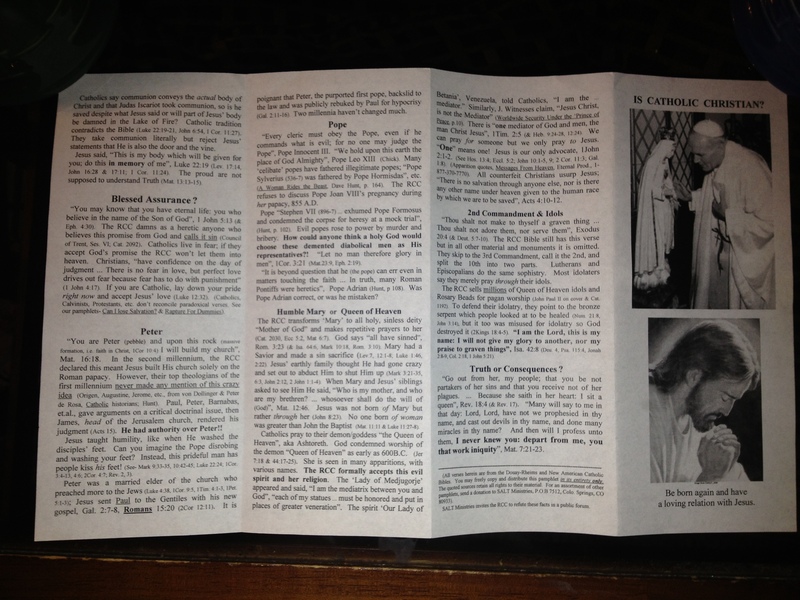 You can read the pamphlet in it’s entirety here: (page 1 and page 2). Today we’ll be discussing the short section on page 2 entitled “Traditions”. What is Tradition based on? This section opens with a statement that Catholic Tradition is founded on documented forged by their leaders. As we previously discussed, the Catholic Church was founded by Christ and not Constantine which covers the ‘Donations of Constantine’ assertion. The author also mentions the Isodorian Decretals, which were a set of 9th century documents attempting to justify the position of bishops by supporting them with false documents purportedly authored by early popes. I have not studied these documents extensively myself, but I have found several sources that affirm that these documents are forgeries and that no serious theologian has asserted otherwise since the 19th century. The important thing that I notice is that these documents were created in the 9th century, which essentially means that the Catholic Church had been practicing it’s faith for around 800 years. Traditions in practice by this time were many generations old, and therefore could not have been founded on the back of this set of forged documents. The Apostles traveled with Jesus, they lived with Jesus, and they witnessed these other signs. 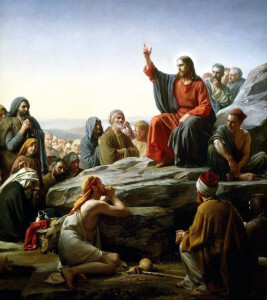 It stands to reason that in being taught directly from Christ, the Apostles would themselves transmit these teachings and practices to others. Christ Himself is the foundation upon which Sacred Tradition is built. Further, there is plenty of valid evidence that illustrates that the early Church Fathers held to some of the same traditions and practices that we conform to today. For more information on this, I highly suggest Jimmy Akin‘s book “The Fathers Know Best“. But in vain do they worship me, teaching for doctrines the commandments of men. This is a simple matter of cherry-picking Scripture and why it is dangerous. Christ was speaking with the Pharisees about their practice of hand-washing before meals, and his admonishment was directed at them for this practice. The line to be drawn is clear: there is a marked difference between traditions that take man away from God’s Commandments (in fact, the rest of Christ’s discussion on this matter drives forward that point) and those that Sacred Tradition transmitted by Christ to his Apostles. The author cites examples of things that the church has changed or removed: fish on Friday got removed (actually, it’s still there), Saint Christopher (he’s still there too), and the acceptance of mixed marriages (it is allowed, but still discouraged). These are good examples of Church doctrines that can evolve. It is the job of the Magesterium to instruct regarding such things, in order to ensure that these practices lead people further in their spiritual life. I do think that the author of the pamphlet does make an accidental point, however. The point of Sacred Tradition is that it further allows us to relate to Christ and worship him. Tradition itself is there to support and underscore the teachings of Christ, not to change or override it. The author again makes an error in associating the infallible teachings of the Church with the practice of the doctrines listed above. Any teaching declared infallible means that it has been revealed to us by God. The examples given of transubstantiation, purgatory, Mary’s immaculate conception, and papal infallibility are not of the same pedigree as the dietary practices or veneration guidelines presented above. Each of these examples can be traced back to what God has revealed to us, and in each case there is biblical and traditional evidence to support each of these teachings. There is ample evidence to support that these practices have been present throughout the transmission of Catholicism, but simply were just not specifically defined until a later time. I will cover each of these in some detail in coming weeks and months, in order to give each topic the appropriate focus that it deserves. This is part of a continuing series where I investigate the claims made by a pamphlet that was left for me asserting that Catholicism is not Christian. You can read the pamphlet in it’s entirety here: (page 1 and page 2). 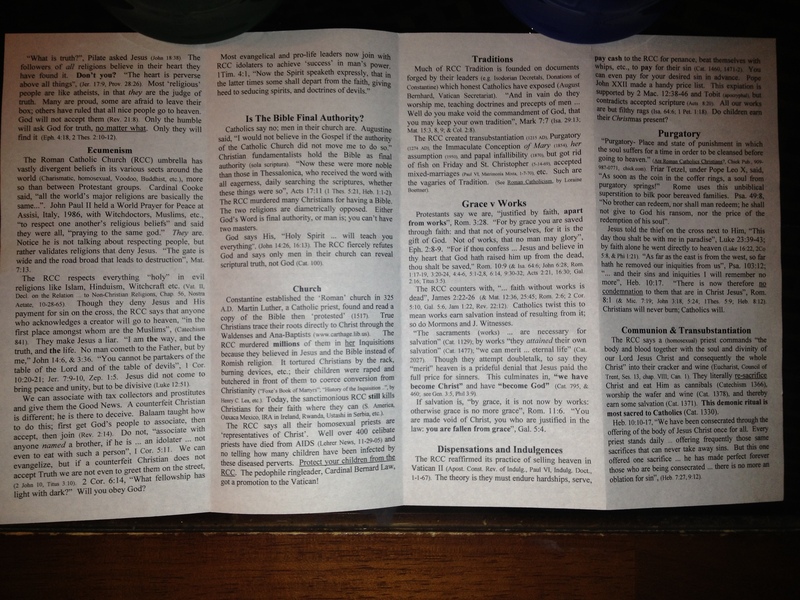 Today we’ll be discussing the densely-packed and wide ranging section on page 2 entitled simply “Church”. This section begins with a few bruised assertions. First, it claims that Constantine established the ‘Roman’ church in 325 AD. This is a popular (and somewhat recent) attempt to tie the ‘creation’ of Catholicism to Constantine, but it’s just not true. Constantine did convert and made it legal to practice Christianity with the Edict of Milan. We’ll give the author of the pamphlet a free pass on the statements about Martin Luther, because there’s plenty more here to cover. The following assertion that ‘True Christians trace their roots directly to Christ through the Waldenses and Ana-Baptists’ is a very confusing one. I am no expert on either group, however some research on Wikipedia yields the fact that the Waldenses was a movement that began around 1170 in France and the Ana-Baptists were later into the 16th century. I tried to find out more by following the quoted website, but it took me to a public library website from Illinois that did not seem to hold any relevance. All founding aside, I simply assert that the most sure way to follow Christ is to belong to the Church that He founded. The Catholic Church holds an unbroken line of papal succession directly back to Saint Peter, who was given his authority directly from Jesus Christ. That places Jesus Christ as the founder of the Catholic Church, not Constantine for those of you keeping score. This argument often spins off in one of two directions: people advocating for the authority of their own sect, and those that begin to attack the authenticity of papal succession. Countless gallons of ink (both real and digital) have been spilled about each of these topics and I can’t do them justice here. I often direct those that attack the line of papal succession to a very well-presented Wikipedia entry on the popes. It is not a tome, you don’t need to spend hours understanding it, just scroll and follow the dates. Unfortunately, further discussion is often required for those that want to advocate for their own special brand of authority. To have an enriching discussion about this, I must first understand their argument and there’s not much I can do in this venue regarding that topic. Next, the author attributes the murder of millions of these ‘true Christians’ to the Roman Catholic Church during the Inquisitions. The Church has a long history of addressing heresy in all of it’s forms, and in many cases this would be practiced in the form of a local inquisitional court. There is a very well-written article at Catholic.com that provides a primer regarding the Inquisition, and a much deeper historical dive over at the Catholic Encyclopedia. What “crimes” were tried in courts of inquisition? Sixteenth-century Protestant reformers propagandized that inquisition courts were historically aimed at simple, Bible-believing Christians. For the most part, however, those prosecuted in the courts of the inquisition were not people with any organized theology of religious dissent. For the most part, they were the ignorant, the troublemakers, the braggarts and, all-too-often, the drunkards belching out foolishness when under the influence. Much like any court today, the inquisition courts often functioned as a form of social control, aimed at those who publicly lived in a way contrary to accepted norms. In most countries, those on trial rarely were advocates of a contradictory or heretical theological system of beliefs. 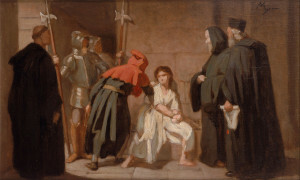 Fornication, adultery, refusal to attend the Sacraments, and disregard of common devotional practices were the common practices investigated by the inquisition courts. In fact, in many inquisition courts a major focus was on clergy living dissolute lifestyles, rather than laity. Did medieval inquisition courts employ torture? Common to judicial practice going back to Roman times, torture was used at times to obtain proof of accusations. But, again, the goal was not conviction of heretics but the salvation of their souls. Very often, the general laity simply wanted the heretic destroyed, while secular authorities wanted to punish. The courts of the inquisition hoped to bring the heretic back into the fold, and guidelines were strict against using torture as punishment. Numerous works of popular art notwithstanding, no priest or religious was allowed to take an active role in torture. Although no such action can be justified today, it is important to note that the courts of the medieval inquisition were actually modifying and limiting a practice common to secular judicial proceedings of the time. The use of torture in inquisition courts was much less extensive, and far less violent, than the norms of secular courts. One additional interesting fact: the oft-cited papal bull by Pope Innocent III that called for a ‘crusade’ also stressed confession, education, and many other methods aimed at bringing heretical people back to the fold. To be clear: the actions taken (deterioration to violence, harsh punishment handed down by secular courts based on the inquisition trials) are lamentable, but they are an undeniable part of history. I believe it is very important to get beyond the caricature and actually examine what happened, and the aforementioned tracts and articles provide a solid place to start that helps to illuminate those dark times. As if this densely packed two paragraphs can’t get any better, the author tops off this section with a healthy dose of venom. The pamphlet states “The RCC says all their homosexual priests are ‘representatives of Christ'” and then continues to make further claims that priests are diseased perverts that molest children and spread AIDS. This particular argument offends me greatly, because it misses one of the most important things about the Catholic Church: it is comprised of human sinners. Pointing out the public failings of priests as some sort of special example that invalidates the cause of the Church is a flawed premise. Painting stereotypes using broad brushes would not be acceptable for any other race, sexual orientation, religion, or affinity group… so why is it acceptable to do this to the Catholic priesthood? This practice slanders the vast majority of priests who are dedicated, chaste, holy men. As for the proud minister, he is to be ranked with the devil. Christ’s gift is not thereby profaned: what flows through him keeps its purity, and what passes through him remains dear and reaches the fertile earth. . . . The spiritual power of the sacrament is indeed comparable to light: those to be enlightened receive it in its purity, and if it should pass through defiled beings, it is not itself defiled. It is Christ that is acting to administer the sacraments. Despite the graces received by the sacrament of Holy Orders, priests must also suffer temptation and sometimes fall to sin. They are not perfect like Christ, they are the vessels through which Christ operates. Do we expect them to keep a higher standard than the rest of the world? Absolutely, but I don’t expect them to be perfect and in some cases they may fall into grave sin like any of the rest of us. Pope Francis even went so far as to call himself a sinner in a recent interview, much to the shocked gasps of the secular world. This pamphlet repeats the ‘homosexual priests’ trope often, but why focus there? If we’re going scandal hunting, why don’t we mention any of the numerous other scandals in the Church’s history? How about the Church’s relationship with the Borgia family, who was associated with several popes and suspected of a long list of crimes such as murder, simony, bribery, and theft? Surely there is equally verdant ground for this argument beyond the pelvic issues that go on to reinforce my point: no one is free from sin, no matter their ecclesiastical role or station. To focus on an individual type of sin in an effort to discredit the Church or her priesthood is a crass and invalid argument. We’ll be revisiting this pamphlet more often in the coming weeks, so stay tuned for more. 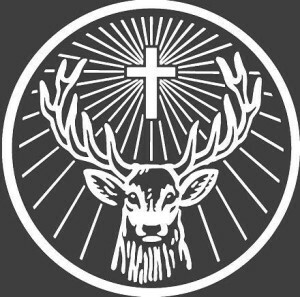 The logo used on Jagermeister is actually a reference to Saint Hubert, the patron saint of hunters. Tradition holds that Saint Hubert was converted after pursuing a magnificent stag. The stag turned and Hubert beheld a cross between the stag’s antlers, where he heard a mystical voice that led him to the Church. I told him that sometimes saints are venerated based on things they did in their life, including hobbies. The thought is that these saints can intercede in a special way for those that share that same experience. Professions sometimes get a patron saint owing to that individual being involved somewhat with it. Lacking such a saint, an occupation would have a patron whose acts or miracles in some way recall the profession. For example, when the hitherto unknown profession of photography appeared in the 19th century, Saint Veronica was made its patron, owing to how her veil miraculously received the imprint of Christ’s face after she wiped the blood and sweat off. There’s nothing like a little lunchtime evangelization! Sadly, it didn’t end in the consumption of Jagermeister.